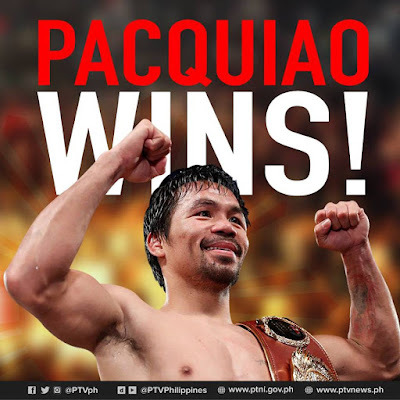 It was a great come back for Senator Manny Pacquiao and now the WBO welter-weight champion. He koed Lucas Matthysse. Watch replay video full fight below. Watch: Manny Pacquiao won vs Lucas Matthysse and now the welterweight championsh on July 15, 2018 live video here. The Filipino pride Manny Pacquiao once again enters the ring and koed Lucas Matthysse. Manny Pacquiao the WBA (Regular) welterweight champion.